Originally planned as a much larger church, only the nave was completed. The project was interrupted by the outbreak of the First World War and never resumed. 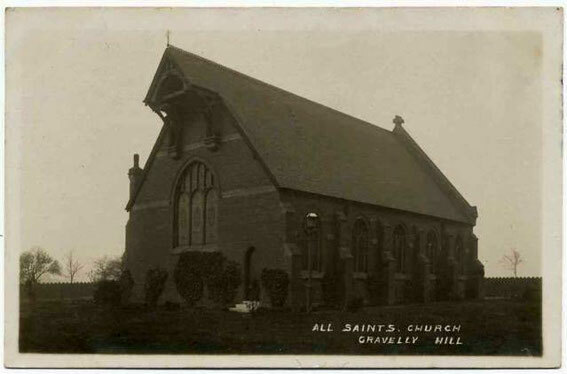 See A Church near You - https://www.achurchnearyou.com/gravelly-hill-all-saints/. 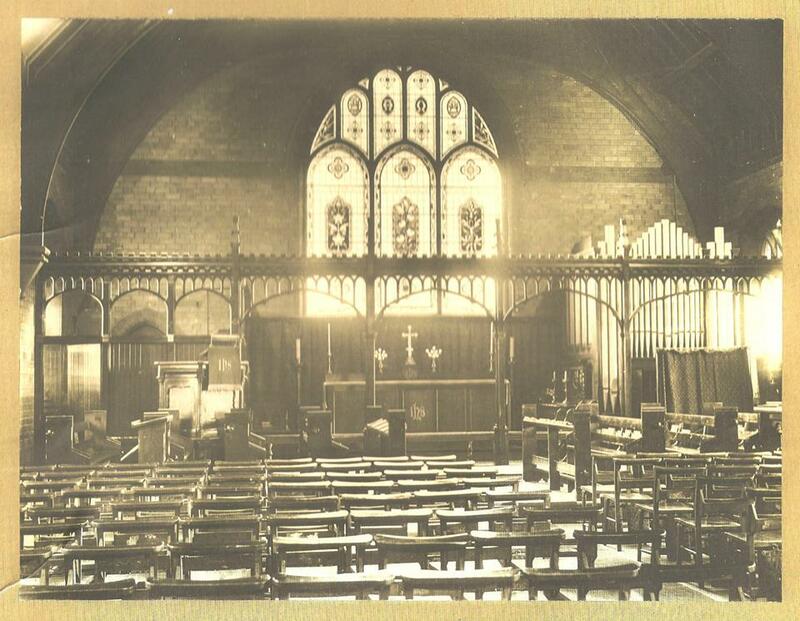 All Saints' church in George Road was dedicated as a chapel of ease to St Barnabas, Erdington, in 1901. The simple rectangular building of red brick with stone dressings was designed by R D Morgan of Birmingham in Gothic style and intended to be the nave of a future church building. The district assigned to the church covered a large area some 4 miles in length stretching from Witton to Bromford and with a rapidly increasing population. The church had seating for 300, but by 1913 there were 400 communicants on roll. The campaign to raise the money to complete the building was restarted with the appointment of a new incumbent and aimed to raise a further £3000. The committee was also aware of the lack of church provision at the Stockland Green and Bromford ends of the district. The top of the east gable projects as a belfry, and a low east vestry and west porch were added. It was anticipated that Morgan would complete the building. 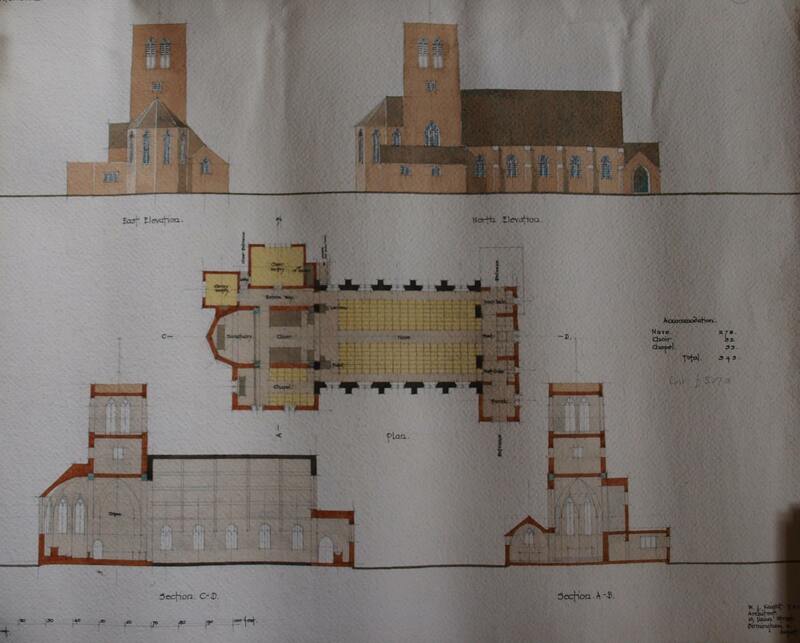 By 1914 some £2000 had been raised and, R D Morgan having died, Birmingham architect W H Bidlake prepared a drawing for the chancel which was approved and tenders requested. These came in at the beginning of August, just before the war was declared on the 4th of that month and the project was held in abeyance. 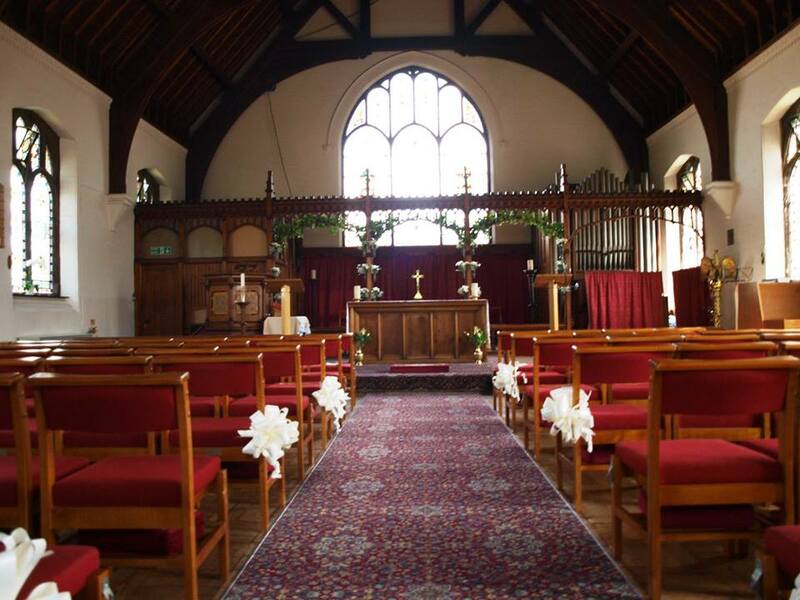 A Conventional District was attached to the church in 1923, the church was consecrated in 1928 and a parish was assigned out of St. Barnabas and St Peter and St Paul, Aston the following year. 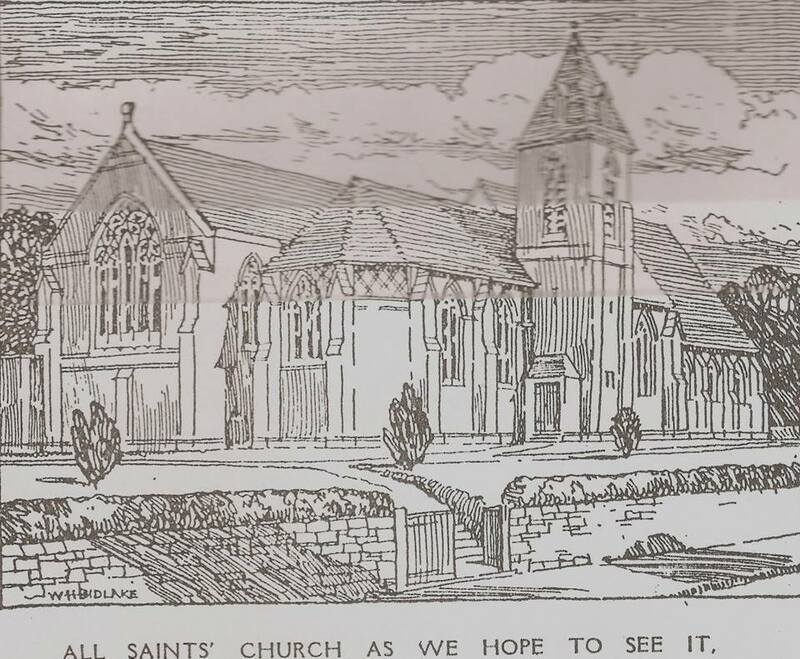 Part of the parish was taken to form the parish of St Mark, Stockland Green in 1934. The plan to enlarge the church was revived in the late 1930s. £3500 had been raised of the £4500 necessary and a start date was set for 1939. Once again the project was interrupted by the outbreak of war and it was never resumed. Information and images below from All Saints' Facebook page - https://www.facebook.com/allsaints.gravellyhill.